Indian Coast Guard Navik GD 10+2 Entry 02/2018 Batch - Job notification for 10+2 Pass Candidates for post of Navik (General Duty) in the Indian Coast Guard, an Armed Force of the Union. Online Applications are invited by Indian Coast Guard from 24 Dec 2017 to 02 Jan 2018. 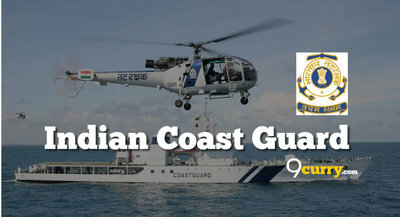 Indian Coast Guard Navik GD Result 2018: Indian Coast Guard has announced the Result on 01 Nov 2018 for Indian Coast Guard Navik GD Exam 2018 . Indian Coast Guard Navik GD Result 02/2018 Batch: Indian Coast Guard has announced the Result on 25 Jul 2018 for the exam . Indian Coast Guard Navik (GD) 02/ 2018 Batch Result: Indian Coast Guard has announced the Result on 10 Apr 2018 for Navik GD 02/2018 Batch Exam. Medical Exam will be held between 16 Apr 2018 to 20 Apr 2018. 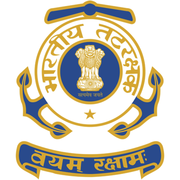 Indian Coast Guard Navik GD 02/2018 Admit Card: Indian Coast Guard has issued the Admit Card on 12 Jan 2018 for the Navik GD 10+2 Entry 02/2018 Batch (Indian-Coast-Guard) - Davp/10119/11/0032/1718. Candidates can download their Admit Cards from the link below from 12 Jan 2018 to 22 Jan 2018 till 5 PM. Minimum 18 Years and maximum 22 years i.e. between 01 Aug 1996 to 31 Jul 2000 (both dates inclusive). Upper age relaxation of 5 years for SC/ST and 3 years for OBC candidates. Relaxation in Qualification: 5 % relaxation in above minimum cut off will be given for SC/ST candidates and outstanding sports person of National level who have obtained 1st, 2nd or 3rd position in any field sports events at the Open National Championship/ Interstate National Championship. This relaxation will also be applicable to the wards of Coast Guard uniform personnel deceased while in service). (a) Height. Minimum height 157 cms. Reduction in height for candidates from hilly areas and tribal areas will be in accordance with the Central Govt. orders. (c) Weight. Proportionate to height and age +-10 percentage acceptable. (f) Tattoo. Permanent body tattoos are not permitted on any part of the body. Pay, Perks and Others Benefits: On joining Indian Coast Guard, you will be placed in Basic pay ₹21700 (Pay Level-3) plus Dearness Allowance and other allowances based on nature of duty/place of posting as per the regulation enforced time to time. (a) Promotion prospects exist up to the rank of Pradhan Adhikari with pay scale ₹47600 (Pay Level 8) with Dearness Allowance. Promotion to the Officer cadre is subject to suitability and performance. and family including dependent parents. Concession (LTC) for self, family and dependent parents as per Government rules. Candidates will be selected on the basis of Written Exam and Medical Exam. Eligible candidates may apply online at Indian Coast Guard website (direct link is given below) from 24 Dec 2017 to 2 Jan 2018. (i) Select the advertisement for Recruitment of Naviks (10+2 Entry) 02/2018 Batch. (ii) Select the post applied for - Navik General Duty.